The Birr Castle Demesne is huge: about the same size as Southern California's Disneyland park in terms of acreage, in fact. 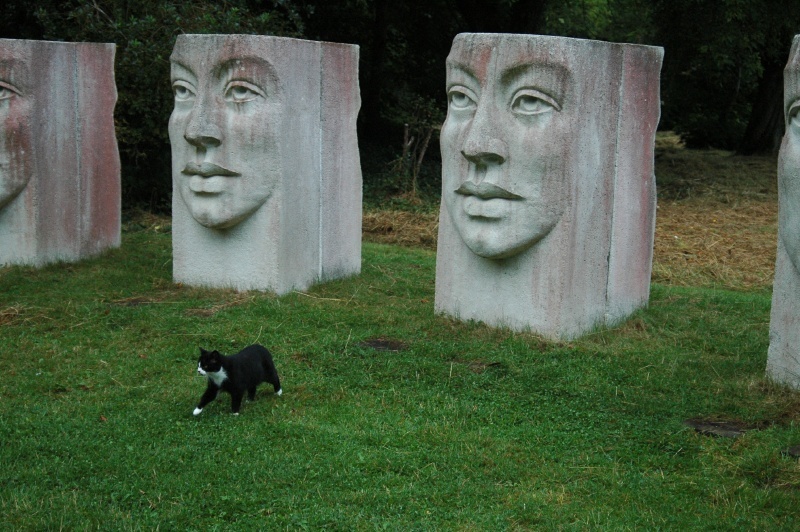 In a distant corner of the Demesne was a strange "garden" of sculptures called the Theatro Verde. Miss Kitty accompanied us there one evening, and was clearly comfortable there (about half a mile from the Bothy cottage.) It must be part of her usual rounds.